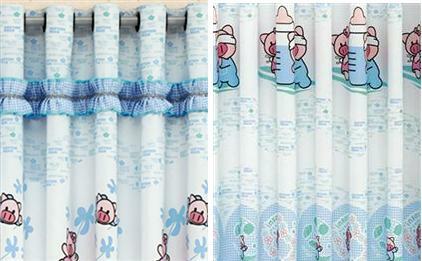 Give your baby's room the ultimate ambiance with our adorable Fat Pig with Babu Bottle Curtains! A perfect solution for your child's humdrum windows, this pair of drape panels offer a custom fit and classic look at an affordable price. It is well-designed for to keep the undesirable dust and ultraviolet rays away from your little one. This Drape Curtain's luxurious appeal will add a touch of class to your home. Made of high quality material, the kids curtain is durable enough for long time use and easy care.